The Uprising event is coming back to Overwatch next month, with what may be some significant changes. Last year’s event took us back to the Null Sector Uprising in King’s Row. 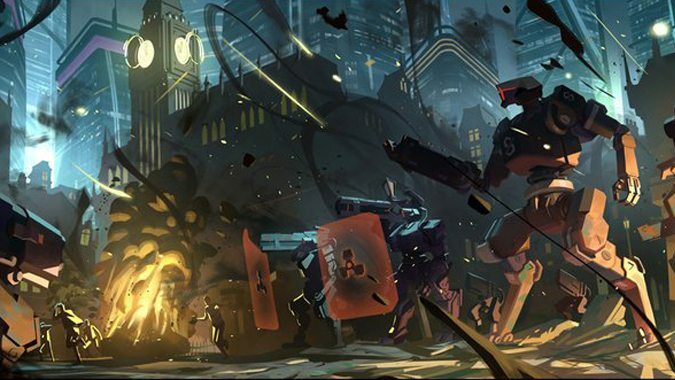 The uprising took place near the end of Overwatch’s time as an organization — and it was Tracer’s first mission. Uprising features a lore-based co-op brawl mode, with a focus on story over the game’s usual PVP antics. But this year looks like it’s going to be a little different, based on a tweet from Overwatch. The big info here? 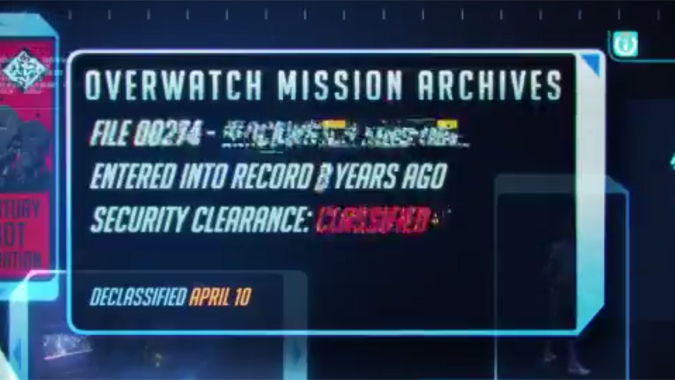 Uprising will be “declassified” on April 10. Last year’s event ran from April 11 through May 2, so the timeline matches up. We also saw new skins, emotes, victory poses, and other goodies during the event last year, in special Loot Boxes exclusive to the event. I’m hoping we’ll see more of the same this time around. The other item we saw last year was a new comic — Uprising. The comic explains what’s going on in King’s Row, and introduces Tracer as she takes part in her first mission. It also gives us a glimpse into the life of Jack Morrison as Overwatch’s leader during its decline. Are we going to get a new comic this year? I’m hoping the answer is yes. But hey, that’s not the only notable part of Blizzard’s tweeted missive. The announcement flickers while you watch it — and if you pause it at the right moment, you’ll see a screen change. What was once “confidential” is now “classified,” and the mission file switches from 382 to 274. While the original mission was entered into record 7 years ago, the screen update flashes a different number. It’s hard to make out, but to me it looks like either an 8, or a 3 overlaid on top of the 7. Either way, what we’re looking at here is a different mission entirely. Something related to the original Uprising…but not the Null Sector conflict we saw last year. There’s also a brief flash of what looks like the Blackwatch logo behind the text at one point as well. Of course, we already knew Uprising was going to be changing this year. Jeff Kaplan mentioned the event would be seeing some updates as part of his New Year’s Developer Update in January. Jeff didn’t really give us any details, however, so all we’ve got to go on is this delightfully puzzling missive. Are we going to see what led to Null Sector’s uprising? Will we get a closer look at Blackwatch’s involvement? Last year’s comic made it clear that Reyes and his team were suspended…yet McCree was strolling through London and checking out the situation. Morrison asks Reyes if there are any other assets lurking around, and all Reyes will say is that it’s nothing Morrison needs to worry about. Last year’s event featured Tracer, Reinhardt, Mercy, and Torbjörn. Are we going to see Blackwatch’s finest in this year’s fray? We’ll have to wait and see to find out — but we won’t be waiting long. If the tweet is any indication, we’ll see Uprising make its return on April 10.